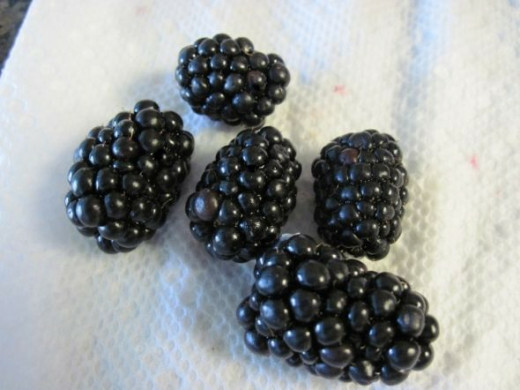 Blackberries are one of my husband's favorite fruits. 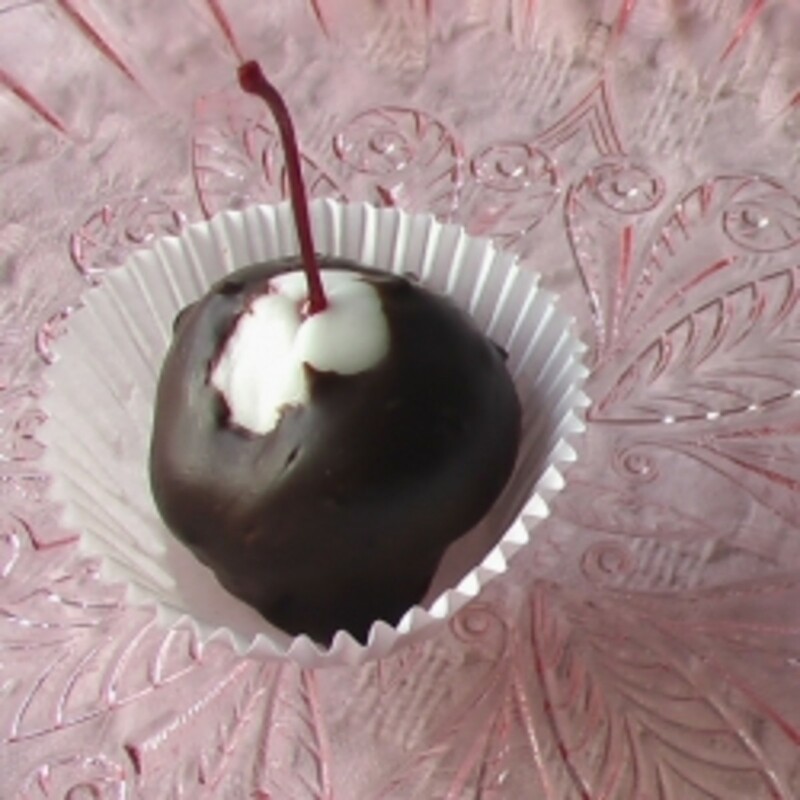 Recently, I was covering or dipping fruit in chocolate and he suggested we make Chocolate Covered Blackberries. 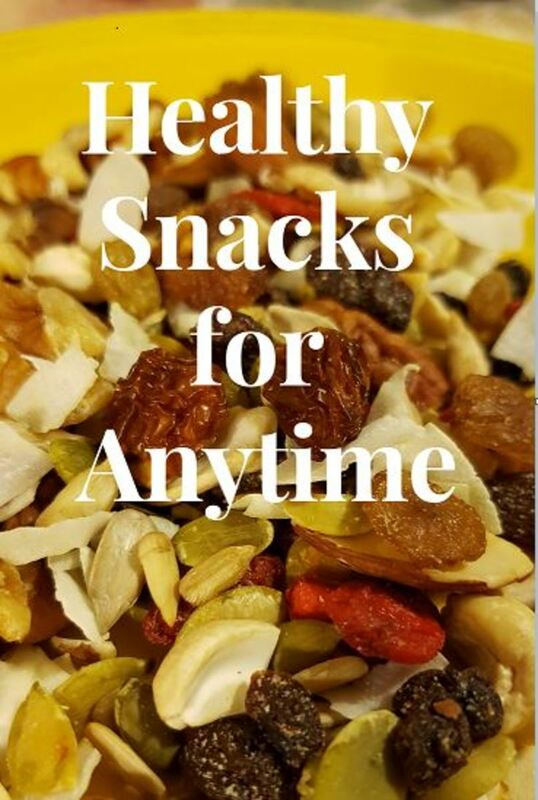 I went along with his suggestion simply because I understand that we each have a different favorite fruit and I wanted everyone to have their favorite available. 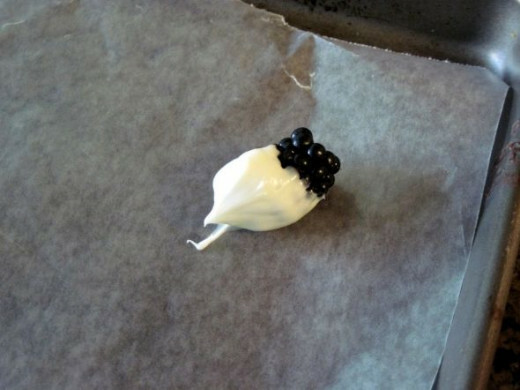 For contrast, I used White Chocolate on the Blackberries. 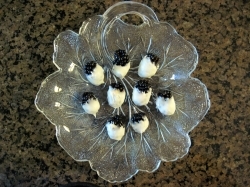 The White Chocolate Covered Blackberries were lovely on the table and tasty addition to our variety of fruits. As it turned out, our daughter also loved the Chocolate Covered blackberries, as did several other guests. The Chocolate Covered Blackberries were a hit and they were completely gone in no time. It seems I did not make enough Chocolate Covered Blackberries for that gathering, but I will know the next time and I will prepare for the inevitable. 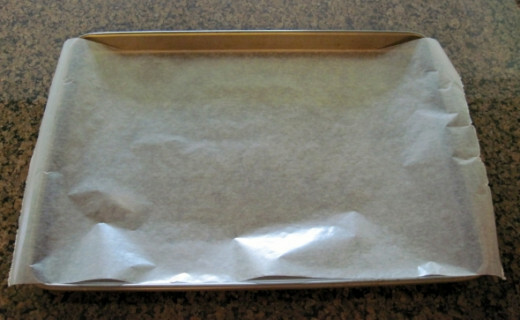 Step 1: Cover a cookie sheet with wax paper ~ The cookie sheet will make it easier to move your Chocolate Covered Blackberries. 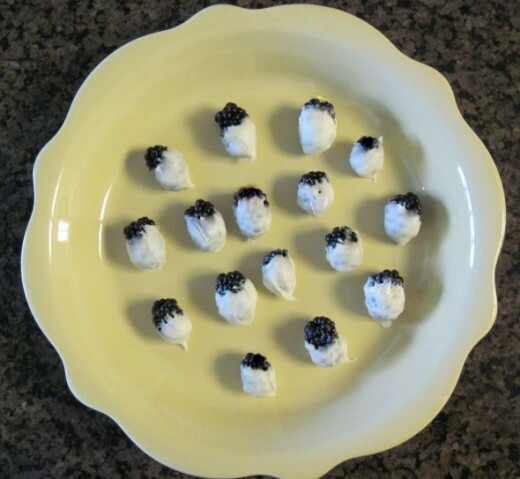 Step 6: When you have dipped all of your Blackberries in chocolate, serve or eat. Are You Ready to Dip Your Blackberries in Chocolate? 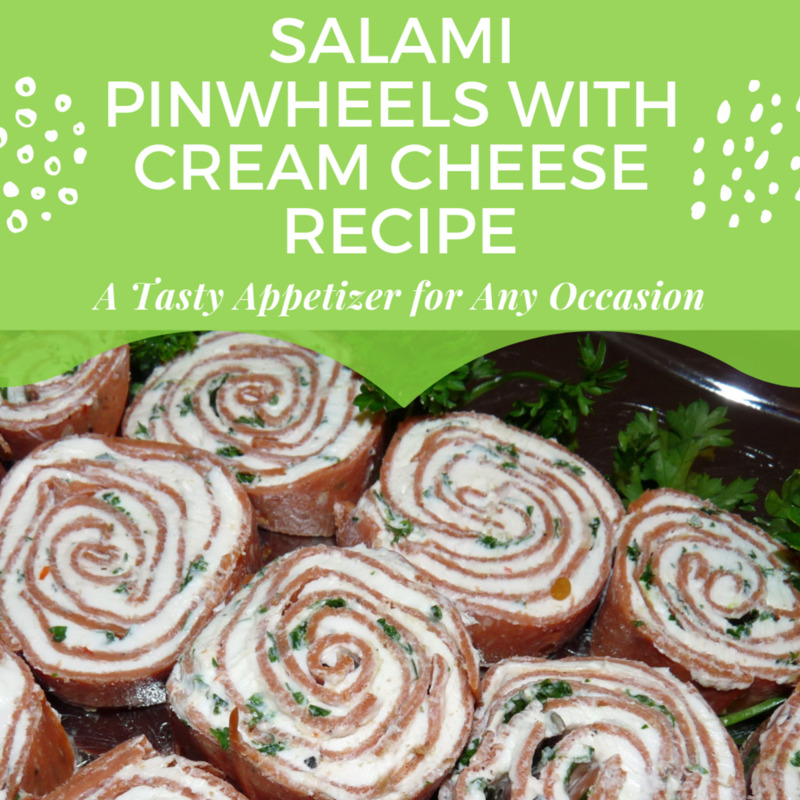 They can easily be made the day before a party and they will last for several days in a refrigerator. Much depends on how fresh the berries are when they are purchased. 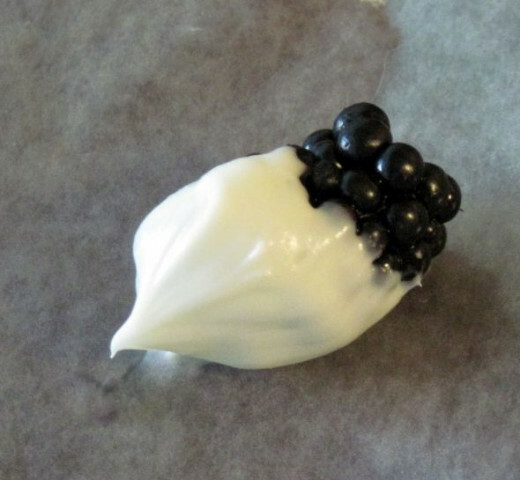 How far ahead can the white chocolate blackberries be made? Thanks!!!! 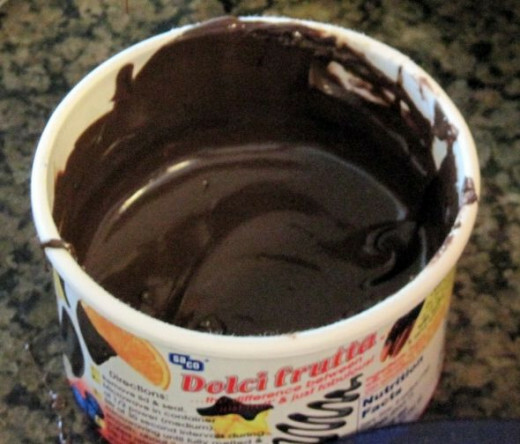 Never thought to dip blackberries in chocolate, sounds like a great idea. This might be the best creation you've shared yet. OMG! I'm in heaven. I was just out picking blackberries and I have all the chocolate ingredients in my cupboard. I know what I'm doing today....thank you, thank you, thank you! Sounds delicious and pretty too! 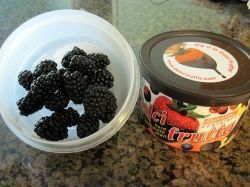 Now I am really looking forward to harvesting those tons of wild blackberries...this is such a tasty and sweet idea. The series of lenses on cherries, blackberries, bananas,etc is very smart and the pics are beautiful -- keep well! Our blackberry bushes are just now starting to bloom. If the squirrels leave us any, I'll try dipping them in chocolate. They do look yummy! Great idea! Christmas is barely over and I'm thinking of spring and fresh fruits. Great idea... white chocolate... imagine the dark chocolate would be delicious, but not as beautiful, perhaps. Oh your lenses are full of deliciousness! 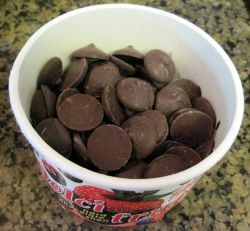 I love blackberries, but I've never had chocolate covered ones! 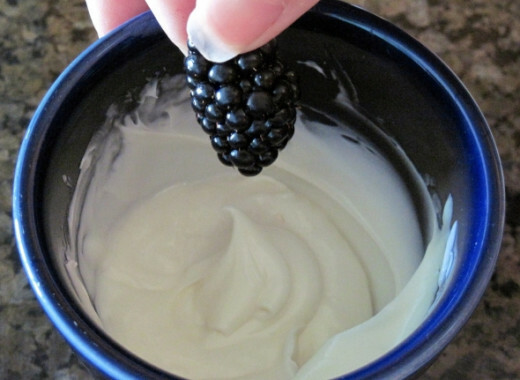 I love Blackberries and adore white chocolate. I had never dreamed of combining them. Yum! This looks sooo good. I've been meaning to tell you.....that dish you show the blackberries in..I have the same dish. It was my Grandmothers, so I always smile when I see your photo. Yeah, so cute looking! 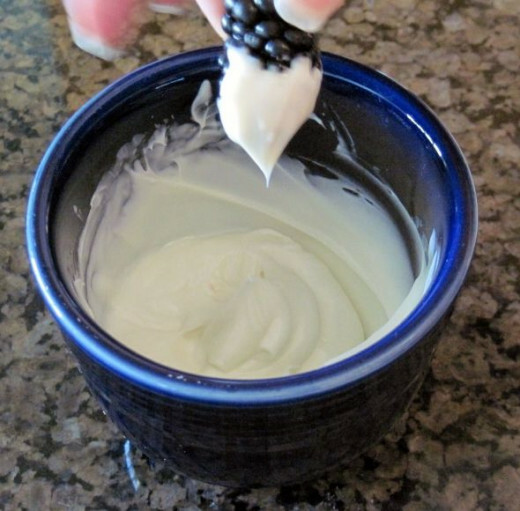 Love the white chocolate on the blackberries! Oh you are so naughty, taunting me with that picture. It looks so delicious! 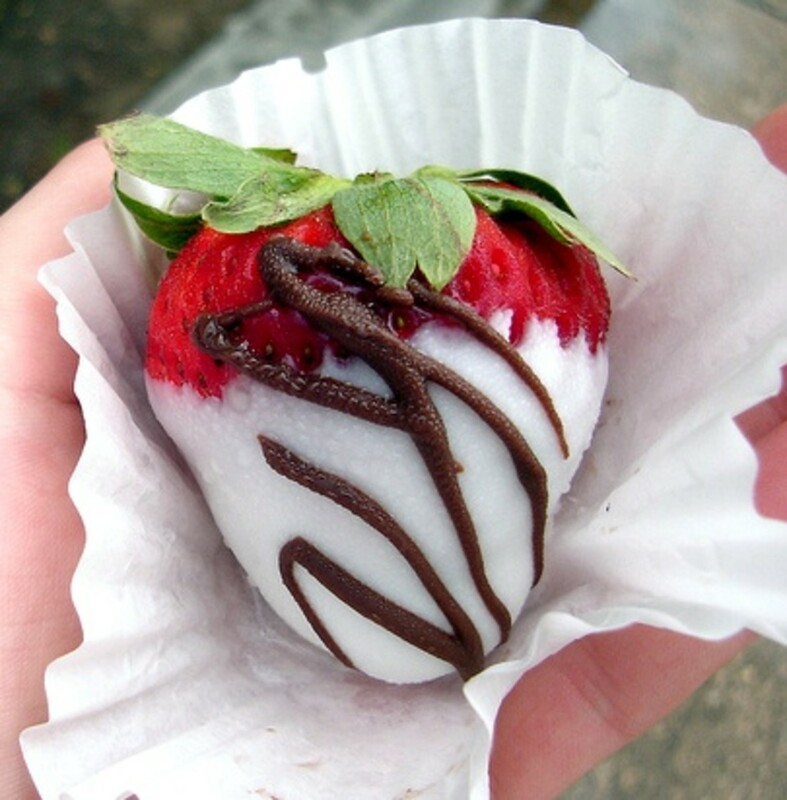 I have never tried a chocolate-dipped blackberry but I can't wait to now! Absolutely! Thanks for the lens. Pretty cool idea. I'd go for raspberries myself. Hint, hint.